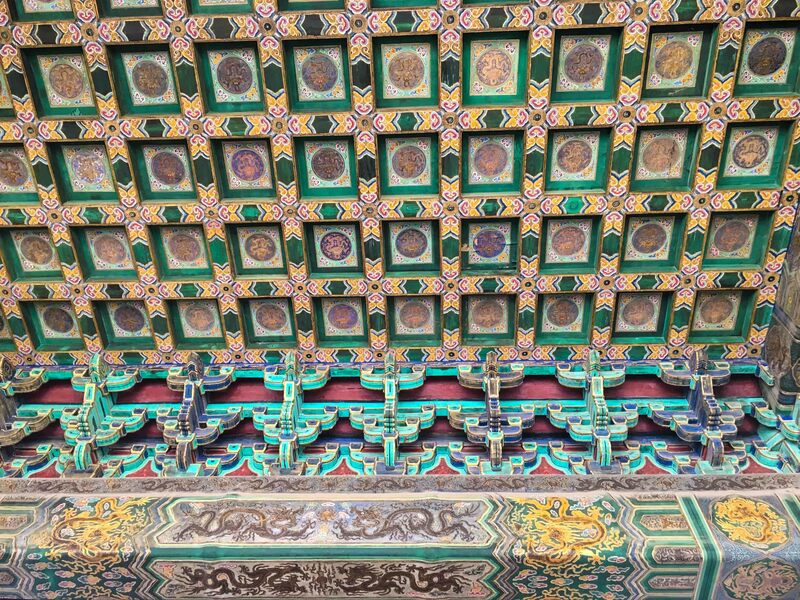 Wandering around the Forbidden City, my eye was continuously drawn upwards to the awesome ceilings of many of the buildings. They’re made mostly out of painted wood and silk, and imperial is definitely the right descriptor! The paint serves a dual function. Besides being highly decorative, it also protects the wood underneath. The oily paint coating acts as a water barrier, allowing the wood to stay dry, free from rot and water damage. A thick base layer under the paintings adds further protection. Beautiful, yet useful – William Morris would definitely have approved.